To lay down the procedure for collecting unit dose blend samples for evaluation of blend uniformity so as to ensure accurate and consistent sampling. Officer – Quality Assurance to collect the samples. Head of Quality Assurance to ensure compliance. Unit dose sampling procedure for evaluation of blend uniformity shall be performed at appropriate phases of manufacturing using a SS316 cylindrical unit dose sampling thief with removable dies. All unit dose sampling for blend uniformity evaluation shall be done prior to any sampling with large volume sampler. Sampling shall be performed according to a suitable plan chosen from various possible sampling plans as outlined/schematically representated in Annexure-1. The die size chosen shall be such, so as to pull out one to three times the theoretical weight of the unit dose at the end of that particular processing stage. (unless otherwise stated in the protocol). Officer – QA shall ensure that the unit dose sampling thief and the respective dies are cleaned as per SOP ” Cleaning of unit dose and large volume sampling thieves”. 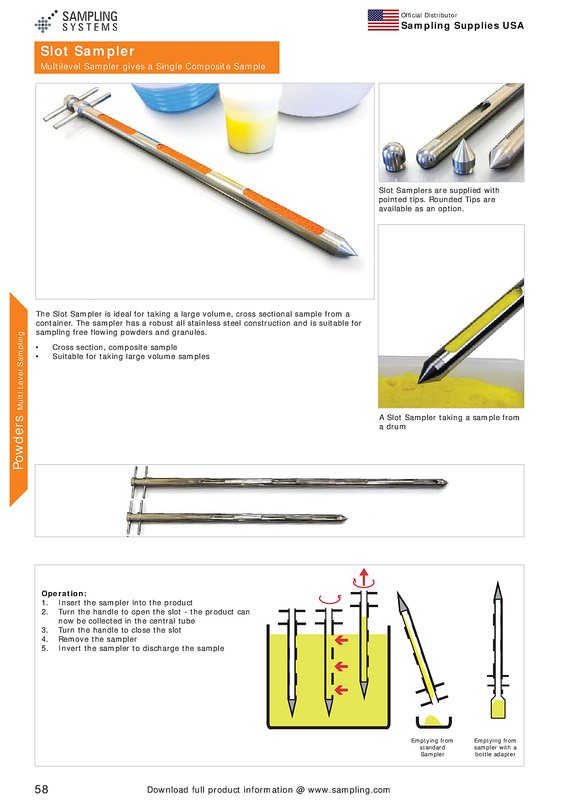 Officer – QA shall identify each tared butter paper/Glass vial with the location of sampling. Before sampling, Officer – QA shall ensure that the dies are placed in the inner tube of the sampling thief as required. Blank dies shall be inserted into locations where samples are not required. Insert the sampling thief vertically in the closed position in the locations to be sampled as per sampling plan. Rotate and open the thief so that the dies are exposed to the blend. Close and open the thief so as to completely fill the die cavities. Fill each die cavity completely and then close the sampling thief. Remove the thief from the blend at the same angle in which it was inserted, to avoid disruption of layers. Carefully remove the inner tube containing the dies from the outer tube,horizontally. Tansfer sample directly from each die onto the respective butter paper/glass vial, completely. If the blend sample adheres to the die cavity, gently tap the die or remove contents with the help of a clean piece of butter paper. Firmly pack/close each butter paper/glass vial and check the gross weight, to know the quantity of sample collected. In case, a sample quantity collected is found to be less/more than the specified weight required, resampling shall be performed only for those locations. During resampling, the sampling thief shall be reinserted vertically, adjacent to the point through which it was inserted during first sampling. During resampling, the sampling thief shall be reinserted vertically, adjacent to point through which it was inserted during first sampling. NOTE : For a given location the sampling thief shall not be inserted more than once. Transfer all sample butter paper/glass vial into a single sealed polyethylene bag labeled with `Sample for Testing’ label. After completion of sampling, Officer QA shall transfer the sampling thief and the dies to the washing area.